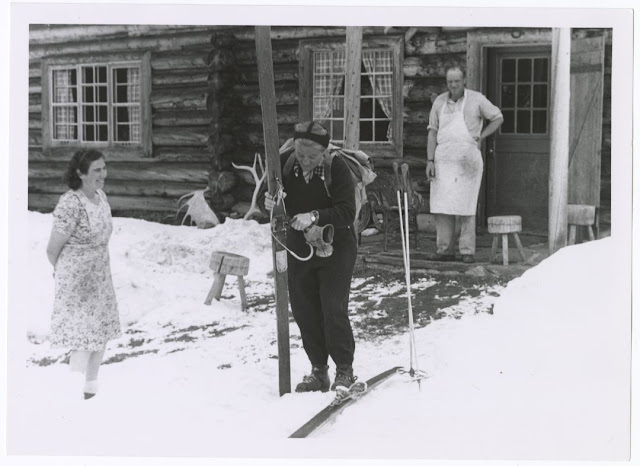 The story of Mary Schäffer is just one of the several stories in the new Gateway to the Rockies exhibition being developed by the Whyte Museum of the Canadian Rockies. We want your input and feedback on this permanent (ten year life) exhibition that we are planning to open at the Whyte Museum of the Canadian Rockies in the spring of 2012. Tell us what you think of this and the other concepts and stories featured here. Let us know how you think we could make this exhibition more interesting. Please keep in mind that this is a draft of the storyline, not the finished product. As the stories develop, information will be updated. No-one may know I went among those hills with a broken heart and only on the high places could I learn that I and mine were very close together. We dare not tell those beautiful thoughts, they like to say “explorer” of me, no, only a hunter of peace. 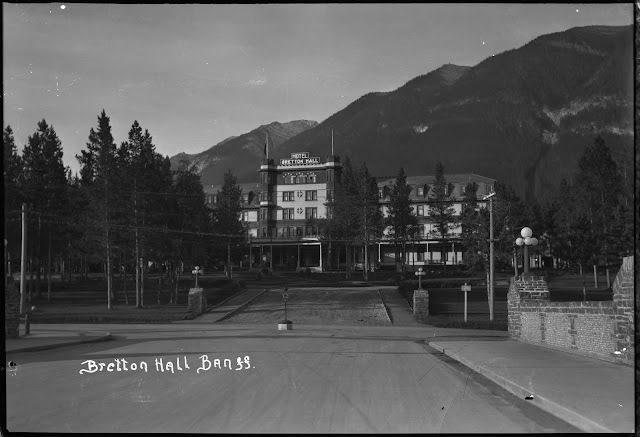 One of the Canadian Rockies' most compelling stories is that of a young Philadelphia Quaker woman who came to the Canadian Rockies seeking peace, and spent much of her active life exploring, painting, photographing, speaking about, and writing about them, before settling down in Banff to make a major contribution to its history and culture. After losing her mother, her father and her beloved husband over a six-month period in 1903, Mary may have felt she had little more to lose. For the first time in her life, at the age of 42, she was alone. After all of these losses, she further discovered that she was left in a difficult financial situation and it took her some time to sort out her affairs. Mary commented on this time in her life: “all this taught me such a bitter lesson, to count my pennies, to lean on no-one, and make the best of the crumbling fortunes.” Rather than be defeated by her losses, Mary became increasingly independent. 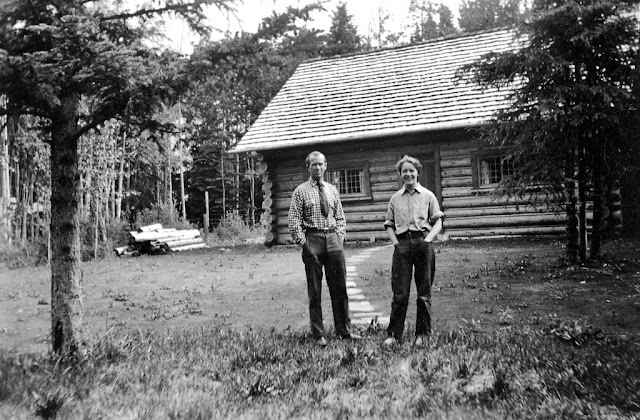 To honour her husband Charles’s memory, Mary decided to return to the Canadian Rockies the following summer to complete his botanical guide. Knowing that she did not have the necessary scientific knowledge, she asked botanist Stewardson Brown to write the book, which she would illustrate. In 1904, Mary began touring the Rockies on her own in search of botanical specimens for the book. She hired guide Billy Warren to toughen her up for the longer excursions required for the research. Her work resulted in her completing the collections in 1905 and in 1907, publishing the book Alpine Flora of the Canadian Rockies which was artfully illustrated with her paintings and photographs. Increasingly, Mary became a hardy, self-reliant woman. Eventually Mary also developed into a talented photographer, but it was a talent born of necessity. Unfortunately, Mary's health had never been good, and close brushwork became increasingly difficult. Fearing she would have to abandon her interest in flowers, she decided to develop her photographic skills. Before long, she was producing accurate, hand-painted photographs of suitable quality for exhibit in international shows. Although she was neither trained nor experienced as a surveyor and government policy forbade women from even accompanying survey parties, Dr. D. B. Dowling of the Geographical Board and Geological Survey of Canada asked Mary to survey Maligne Lake. Her maverick instincts and Dowling's promises of instruction and equipment overrode her initial hesitation. After all, as she later declared: "all my life I have done those things I did not know how to do. "20 With Old Indian Trails about to hit the shelves and a new railroad extending towards Jasper, the timing for a well-publicized survey expedition to Maligne Lake could not have been better. Upon completion of her botanical work, Mary and her friend Mollie Adams decided that they wanted to explore further into the mountains. They convinced Billy Warren and fellow guide Sidney Unwin to provide the outfit and knowledge necessary to try finding "Chaba Imne," a remote lake in an unexplored mountain valley that they had heard of from the Stoney First Nations people. 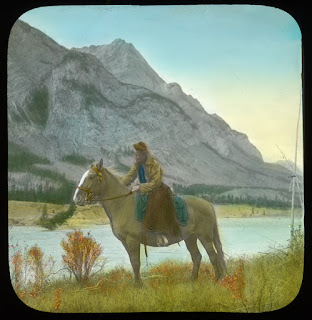 This quest, later described in Mary's book, Old Indian Trails of the Canadian Rockies, resulted in the first recorded visit to Jasper's Maligne Lake in 1908, which Mary describes as “an entire string of pearls.” Throughout her travels she continued to take photographs that she would hand-colour upon her return home and use to encourage others to travel in the Canadian Rockies. A crew had been hired to clear a trail for the survey expedition from the end of the rail line at Hinton to Maligne Lake. But once Mary and her party -- consisting of her sister-in-law Caroline Sharples and nephew Paul, as well as guides Jack, Closson, and Bruce Otto; Sid Unwin; and one identified only as Wheeler -- reached its shores, the new challenges began. Mary's inexperience at surveying took its toll. Knowing full well that media attention awaited her return to Edmonton, she struggled through an initial false start followed by a loss of the surveying spool overboard. After nearly a month's wait for a new spool to be sent from Toronto, she was finally able to complete an accurate survey. Dr. Dowling encouraged her to send her measurements and map, complete with the names she had given various features around the lake, to the Geographical Board in Ottawa. Despite some opposition, Mary’s names were retained. Mary also joined the lobby to have Maligne Lake included in Jasper National Park. Had it not been for her, Maligne Lake may not have been preserved for the benefit of future generations. Mary’s life after her exploration of Maligne Lake is another story. Assisting her in her early travels throughout the Rockies was a young English guide named William "Billy" Warren who taught her how to ride and how to enjoy camp life in the rugged mountain wilderness away from the fine homes and hotels that she was used to. Upon completion of her explorations, Mary decided to spend more of her time in Banff rather than Philadelphia. She asked her friend Warren to find a lot and build her a home, and by 1912 he had completed construction of a beautiful, large cottage-style home that Mary named "Tarry-a-while." In 1915, Mary married "my Chief" as she called Warren. Her first husband Charles was almost 20 years older than Mary, but her second husband, Billy Warren, was nearly 20 years younger. To make your donation to the Gateway to the Rockies exhibition or any of our Giving Programs, please visit http://www.whyte.org/ and click "Get Involved."